Administrative Law Judge (ALJ) Troy Taira, Office of Administrative Hearings (OAH), heard this matter in Cloverdale, California, on May 22 and 23, 2012. Carl D. Corbin, Attorney at Law, appeared on behalf of Coverdale Unified School District (District). Jennifer Coker, Special Education Director, was present throughout the hearing. Parents appeared on behalf of Student and were present throughout the hearing. Student was not present. 1 To maintain a clear record, District’s brief has been marked District Exhibit 22, and Student’s brief has been marked as Student Exhibit C.
On May 17, 2012, prior to the hearing, District moved to exclude Student’s witnesses and exhibits from the hearing because Student failed to provide his list of exhibits and witnesses to District as ordered in OAH’s prehearing conference order of May 14, 2012. 2 The prehearing conference order directed Student to disclose all witnesses and serve all exhibits Student intended to rely on at the due process hearing by close of business on May 15, 2012, five business days prior to the hearing, as required by Education Code section 56505, subdivision (b)(7). Student did not provide District with a witness list and untimely emailed to District four documents totaling 598 pages which were neither paginated nor organized into exhibit binders as required by OAH’s prehearing conference order. At the hearing, Student did not call witnesses, in addition to District’s witnesses, rendering District’s motion to exclude witnesses moot. Accordingly, District’s motion to exclude Student’s witnesses is denied. Also at the hearing, Student offered a compilation of documents into evidence, marked as Student’s Exhibit A. District agreed to allow Student’s Exhibit A to be admitted into evidence. District did object to Student’s offer of a single page from a previous mediated settlement agreement between District and Student, marked as Student’s Exhibit B. Student proffered that Exhibit B contained an important section referring to their agreement to accept District’s placement in its special day class (SDC) as a temporary placement. That specific provision is found to be relevant and probative, and is admitted. 3 The rest of the settlement agreement is not relevant and is, therefore, excluded. Therefore, District’s motion to exclude Student’s exhibits is denied as to the specific settlement provision discussed above, and granted as pertaining to the rest of the agreement. With reference to Student’s Exhibit A, the motion to exclude the exhibit is moot and accordingly denied. OAH’s prehearing conference order directed Student to provide a physical copy of his exhibits to District by May 15, 2012, at 5:00 p.m., organized in binders and paginated. Instead, at 5:15 p.m., Student emailed District four document attachments totaling 598 pages which were neither paginated nor organized into exhibits. As a result, District spent $119.60 to print out the documents in order to prepare for the hearing. 2 Student also did not file a prehearing conference statement with a list of prospective witnesses and exhibits. District contends that Student engaged in bad faith litigation tactics by untimely emailing District 598 pages of documents instead of serving physical evidence binders as they knew they were ordered to do. Parents are unrepresented and Mother argued at hearing that she emailed the exhibits because she is not working and could not afford to make copies. Despite District’s assertion that the parents are sophisticated and experienced in special education litigation, there is insufficient evidence to conclude that Student acted in bad faith, used tactics that were frivolous, or solely intended to cause unnecessary delay. Accordingly, District’s motion for sanctions is denied. At the hearing, the ALJ ordered to the parties to file their closing briefs with OAH no later than June 6, 2012, at 12:00 p.m. and serve copies on the other party. Both parties timely filed their closing briefs with OAH. On June 7, 2012, District filed a motion to exclude Student’s closing brief for failing to provide District a copy. Student did not file a response. On June 8, 2012, OAH provided District a copy of Student’s closing brief. The ALJ finds that Parents are unrepresented and the failure to send a copy of Student’s closing brief to District did not prejudice District since the briefs were due on the same day and at the same time, and the record was then closed. Therefore, District’s motion is denied and the ALJ considered Student’s closing brief. At the hearing, Student objected to the admission of District’s Exhibit 4. The ALJ deferred ruling on the objection until after the hearing. The exhibit is a December 21, 2011, email from District to Parents following up on the individualized education program (IEP) team meeting on December 8, 2011. The ALJ finds that the exhibit was authenticated by the author during the hearing, is relevant and probative to the issue, is not cumulative, and, therefore, is admitted into evidence. District requests an order from OAH declaring its December 8, 2011 IEP offered Student a FAPE and permitting it to implement the IEP without parental consent. District contends that it convened IEP team meetings on three occasions (May 19, 2011, September 1, 2011, and December 8, 2011) to provide Student an annual offer of placement, but was unable to complete the IEP team meeting on December 8, 2011, due to Student’s mother’s disruptive behaviors. District contends that its placement offer from the December 8, 2011 IEP team meeting was developed based on Student’s individual educational needs and input from his parents and offered Student a FAPE. Student contends that District’s December 8, 2011 IEP offer does not adequately address Student’s individual educational needs, parent’s input, or assessment reports. Therefore, District incorrectly offered placement in its SDC. In addition, Student claims that District incorrectly offered no other placement options. Student asserts that the IEP in inconsistent with a prior settlement agreement. Student contends that he is entitled to the best IEP that is reasonably attainable. 1. Student is a 16-year-old boy who lives with his mother within District’s geographical boundaries. Student is in the 10th grade and attends District’s SDC for students with emotional disturbance. Student is eligible for special education and related services under the primary category of emotional disturbance and the secondary category of other health impairment due to attention deficit disorder (ADD). 4 The ALJ has reworded the issue for clarity. No substantive changes have been made. 2. There are two parts to the legal analysis of the validity of an IEP. First, the ALJ must determine if the school district complied with the procedures set forth in the Individuals with Disabilities Education Act (IDEA). Second, the ALJ must decide if the IEP was reasonably calculated to enable the child to receive educational benefit. 3. The IEP at issue is a product of three IEP team meetings: May 19, 2011, September 1, 2011, and December 8, 2011. Parents not attend the May 19th IEP team meeting, and did not consent to the resulting IEP. Parent did participate in the September 1st IEP team meeting, but again did not consent to the resulting IEP. The parties dispute whether the parents were adequately notified of the May and September IEP team meetings. However, the sole issue in this decision is whether the IEP from December 8, 2011, offers Student a FAPE. The December 8, 2011 IEP team meeting was properly held as discussed below, making it unnecessary to address the procedural validity of the May and September meetings. 4. Procedural violations result in a denial of FAPE if the violation: (1) impeded the child’s right to a FAPE; (2) significantly impeded the parent’s opportunity to participate in the decision-making process; or (3) caused a deprivation of educational benefit. 5. According to the team meeting notes from December 8, 2011, this meeting was a continuation of the May 19, 2011 and September 1, 2011 IEP team meetings. Parents participated in the December 8, 2011 meeting. 6. An IEP team must include at least one parent; a representative of the local educational agency (LEA) (in this case District); a regular education teacher of the child if the child is, or may be, participating in the regular education environment; a special education teacher or provider of the child; an individual who can interpret the instructional implications of assessment results; and other individuals who have knowledge or special expertise regarding the pupil, as invited at the discretion of the district or the parent; and when appropriate, the student. 7. Student’s mother attended the December 8, 2011 meeting in person. Student’s father participated on a speaker phone. In addition to Parents, the following District members attended: Jennifer Coker (special education director), Federico Vargas (Student’s SDC teacher), Theresa Burke (District representative), Patricia Longaker (behavior specialist), Gail Austin (school psychologist), and Debbie White (Student’s general education teacher). The assessments that required review or explanation were District’s psycho-educational report and the IEE. The evidence establishes that all required members of the IEP team attended the meeting. 8. Parents of a child with a disability must be afforded an opportunity to participate in meetings with respect to the identification, assessment, educational placement, and provision of a FAPE to their child. A school district is required to conduct an IEP team meeting that is meaningful. A parent has meaningfully participated in the development of an IEP when she is informed of her child’s problems, attends the IEP team meeting, expresses her disagreement regarding the IEP team’s conclusions, and requests revisions in the IEP. 9. Testimony from Ms. Austin, Ms. Longaker, and Mr. Vargas, and the evidence establishes that Mother’s disruptive behavior and inappropriate remarks directed at District staff throughout the December 8, 2011, IEP team meeting prevented the other team members from collaboratively developing the IEP document and resulted in the meeting being adjourned after 70 minutes. District was justified in ending the meeting due to Mother’s behaviors. 10. Despite Mother’s behavior, Parents’ concerns were reflected in the meeting notes and were incorporated in the final IEP document that was sent to Parents with the final offer of placement and services, dated December 21, 2011. The final IEP offer incorporated Parent’s request to add statements that Student would take the state high school exit exam and was on a diploma track at school, and remove a statement that Student did not care about his education. Parents meaningfully participated in the IEP team meeting. 11. Predetermination occurs when an educational agency has decided on its offer prior to the IEP team meeting, including when it presents one placement option at the meeting and is unwilling to consider other alternatives, or arrives at an IEP team meeting with a “take it or leave it” offer. However, school officials do not predetermine an IEP simply by meeting to discuss a child’s programming in advance of an IEP team meeting. 12. The IEP team was given a draft IEP at the December 8, 2011 meeting. The evidence establishes that this was collectively prepared by District staff prior to the meeting and typed by Mr. Vargas, but was intended to be a draft. The team revised the draft IEP document during the meeting. All members of the IEP team, including Parents, participated in the development of the final IEP document. Parents were able to express their agreements and disagreements. Ms. Austin, Ms. Longaker, Mr. Vargas, and Ms. Coker establish that the District IEP team members went to great lengths to listen to and consider the parents’ concerns despite the Mother’s disruptive and hostile behavior. The draft IEP shows handwritten revisions and the Service Option section was left blank for the meeting, but was later completed in the final IEP offer that was sent to Parents. 13. Parents contend that District was wrong when it failed to offer more than one placement. However, the IEP team was only required to consider other placement options. Testimony from the team members and the evidence established that it did. 14. District complied with the procedural requirements set forth in the IDEA and conducted a properly held IEP team meeting on December 8, 2011, with the required team members. All the team members, including Parents, participated in the development of the IEP. District did not predetermine Student’s placement. 15. A district must provide a student with an educational program that is reasonably calculated to provide the student with some educational benefit in the LRE. A district is not required to provide a special education student with the best education available or to provide instruction or services that maximize a student’s abilities. A school district need only provide a basic floor of opportunity that consists of access to specialized instructional and related services, which are individually designed to provide an educational benefit to the student. 17. The IEP contains accommodations and modifications to assist Student in the classroom and during the standard statewide assessment test. The IEP also contains a transition plan to help prepare Student for post high school and a behavior support plan (BSP) to assist Student with his behaviors. Parents did not consent to the IEP. 5 The IEP did not offer extended school year (ESY). The IEP and witness testimony establish that ESY was not needed. Parents did not contest the absence of an ESY offer at hearing. Accordingly, ESY will not be discussed in this decision. 18. The IDEA provides that an IEP must contain a statement of the current levels of educational performance, measurable annual goals, and a means to measure progress towards the goals. Additionally, the IEP team must take into account the results of the student’s most recent assessments in formulating the IEP to determine the student’s present levels of performance and the student’s unique needs. 19. In May 2010, Gail Austin, school psychologist, conducted a psychoeducational assessment of Student at Parent’s request to help identify his strengths and weaknesses and to determine the most appropriate services for Student. 6 Ms. Austin testified credibly at the hearing about her assessment of Student. 21. Ms. Austin concluded that while Student is capable of functioning academically, he was not progressing due to behaviors related to ADHD and other emotional difficulties. 8 Student manifests low self esteem, withdrawal, poor social skills, poor communication skills in problem solving, anger, threatening behaviors towards others, and resistance to adult interventions at school. Ms. Austin found that that due to his behaviors and academic underperformance, Student would continue to qualify for special education as an emotionally disturbed student and would not make adequate academic progress without the continued assistance of special education instruction. 6 Ms. Austin has a bachelor’s and master’s degree in psychology. She had been a school psychologist for 25 years, conducting an estimated 1,500 assessments and attending an estimated 2,000 IEP team meetings. 7 The diagnostic criteria used for ADD and ADHD are found in Diagnostic and Statistical Manual of Mental Disorders, Fourth Edition, Text Revision, which is used by physicians and mental health professionals. 8 Ms. Austin reviewed Student’s records and also relied on the psychological assessment done in April 2010 by Mark Sessions, Healdsburg Unified School District psychologist, when Student was attending school in another school district. Mr. Sessions administered the Wechsler Intelligence Test for Children (WISC-IV) and found that Student’s cognitive scores in verbal comprehension, perceptual reasoning, working memory, and processing speed did not indicate a processing disorder or learning disability that adversely affected Student’s academic performance since his academic scores were in the average range for his age. 22. In October 2010, Dr. Gordon Ulrey, Ph.D., conducted an IEE of Student at Parent’s request, and reached conclusions quite similar to those of Ms. Austin. 9 Dr. Ulrey reviewed Student’s school records, including Ms. Austin’s psycho-educational assessment report. Dr. Ulrey used the following tests: WISC-IV (partial); Children’s Memory Scale; Delis Kaplan Executive Functioning Systems; Wisconsin Card Sorting Test; Connor’s Continuous Performance Test; WJ-III (partial); Neuropsychological Assessment; Beck Depression Inventory, Second Edition; Beck Anxiety Inventory; and, the Adaptive Behavior Assessment System, Second Edition (parent form). Dr. Ulrey also observed Student in his classroom. 23. In attention and executive functioning, Student had slow processing speed and showed vulnerabilities in sustaining his concentration and avoiding distractions. 10 In achievement skills, Student’s lower academic fluency was consistent with lower cognitive processing speed and difficulties performing tasks requiring mental control and sustained effort using auditory working memory. Student scored in the 20th percentile in understanding directions, which required sustained concentration and working memory. This was consistent with other indications of Student’s lower processing speed, academic fluency, and difficulties with directions and maintaining sustained effort or concentration. 24. Dr. Ulrey observed Student’s participation in his SDC and interviewed his teacher, Mr. Vargas. Mr. Vargas testified at hearing and established that students in the SDC could work towards a placement in a general education setting through a progressive system consisting of five levels, in which continuous cooperative and engaged behaviors would allow students to progress to a level which would lead to increased or total mainstream educational placements. It could take three months of continuous positive behavior for a student to progress to a level of increased or total mainstream educational placements. Dr. Ulrey and Mr. Vargas established that Student had the ability to progress towards a general education placement, but that his mood and engagement in activities were inconsistent and poorly regulated, which disrupted the class and interfered with his progress..
9 Dr. Ulrey is a licensed psychologist and former Associate Clinical Professor of Psychology at the University of California, Davis, School of Medicine. 10 This was also consistent with the occupational therapy assessment done on Student in April 2010 by Redwood Pediatric Therapy Associates. The assessment found that Student did not need occupational therapy, but found that Student was prone to distraction and exhibited sensory processing problems that impacted his attention span. 25. The evidence shows that Student’s poor mood regulation, avoidance or refusal to work, irritability, poor anger management, and externalizing blame resulted in avoidance behaviors and inattention that compromised his academic performance and ability to access education. Student’s inability to regulate his behaviors and emotions continue to qualify him for placement in a SDC for the emotionally disturbed. Dr. Ulrey and the evidence establish that Student’s placement in the SDC may be less academically challenging than a mainstream general education program, but Student needs the structure and support from the SDC and its progressive level system to learn to perform and act appropriately in order to advance to a more independent level with opportunities to access a general education curriculum. 27. Dr. Ulrey’s IEE report was credible, comprehensive, and detailed, and in most respects confirmed Ms. Austin’s conclusions. Therefore, the IEP team members could reasonably rely on Dr. Ulrey’s and Ms. Austin’s conclusions and recommendations. In fact, the IEP of December 8, 2011, specifically referenced Dr. Ulrey’s report when discussing Student’s present levels of performance. The evidence establishes that the IEP team properly reviewed and considered Dr. Ulrey’s and Ms. Austin’s reports when developing Student’s IEP on December 8, 2011, and that Student requires placement in the SDC in order to make academic progress. 28. On the ninth grade California Standards Test, Student scored in the lowest level of “Far Below Basic” in all testing categories: English/Language Arts, Math (algebra), History/Social Science, and Science. In math, Student could solve basic computations, but struggled with fluency tasks such as timed tests. Student did well with multiplication and addition, but had difficulties with division and subtraction. Student had difficulties with memorization of math steps, understanding word problems, and complex graphing equations. 11 Dr. Ulrey also agreed with 12 suggestions provided by Ms. Austin in her appendix to her psycho-educational report. The appendix was not introduced in evidence and is not discussed. 29. In English, Student read well in a group setting and volunteered to read orally in class with the correct pace and intonation. Student understood literal meanings of the readings, but had difficulty with drawing inferences from what he read. Student’s most difficult academic area was completing writing prompts with more than one paragraph. 30. In reading, Student’s fluency and comprehension skills are progressing. He also improved his reading time. In U.S. history, Student was able to take notes, participate in class discussion and vocabulary games. In science, Student was able to read and answer questions, and orally read in class. Student was attentive during science video presentations and completed worksheets, and participated in vocabulary games. 31. Dr. Ulrey and the IEP team members established that Student’s communications skills were ineffective. Student continued to use inappropriate language towards others. He also complained and argued with teachers over his subjects even though he completed his tasks after prompting. Student was able to socialize with his peers. Student exhibited a number of disruptive and negative behaviors when he first enrolled in the SDC, but learned to minimize and reduce the behaviors through self-management. 12 Student was at Level 3 in the SDC’s five-step progressive level towards greater mainstream opportunities, but was anticipated to have trouble maintaining the level without better homework completion and signed point sheets. 32. Moreover, District IEP team members found that Student’s behavior, academic progress, and emotional state worsened and that the negative behaviors that Student had earlier learned to manage began to resurface. Dr. Ulrey had similar concerns over Student’s behavior, and noted that Student’s behaviors had declined after Parents pulled Student out of his individual and group counseling sessions after the September 1, 2011, IEP team meeting. The evidence establishes that Student’s behavior had worsened in areas such as mood regulation, avoiding or refusing school work, irritability, inattention, distractibility, impulse regulation and anger management. 33. The District IEP team members expressed serious concern about Student’s performance in the general education setting. In the previous academic year, Student took three general education classes, drama, culinary arts and life science. Student failed drama and passed culinary arts with a “C plus” and life science with a “D.” Student’s general education teachers noted that Student made disruptive noises, did not complete school work or homework, and did not actively participate unless he had one-to-one support. In this academic year (school year 2011-2012), Student enrolled in one general education class, culinary arts. Credible testimony from Mr. Vargas, Ms. Longaker, and Ms. Austin establishes that having Student take only culinary arts as a general education elective reduces his stress to a level at which he can make educational progress. Student’s greater success this year would mean that Student might be able to increase the number of general education classes he could take next year. 12 A LifeWorks counseling report in May 2010 found that Student’s behaviors improved as a result of participating in individual and group counseling. Student benefitted from receiving individual and group counseling. 34. The SDC daily routine teaches skills the students need to succeed in the workplace. In the SDC students are assigned class jobs and participate in the progressive level system that rewards positive behavior. The instructor imposes high standards on the students’ behavior. The evidence did not indicate that Student has unique needs an IEP must address in the areas of health, living skills (except for homework completion), or gross and fine motor development. 35. District properly determined Student’s present levels of performance and needs through Student’s grades and test scores, teacher observation, its own assessments, and Dr. Ulrey’s IEE. The evidence establishes that District accurately determined Student’s present levels of performance as impacted by his avoidance behaviors and inattention that compromised his academic performance and ability to access education. District properly identified all areas of Student’s academic, and social and emotional needs. Student continues to qualify for placement in a SDC for the emotionally disturbed with the structure and support that Student needs in order to advance with opportunities to access a general education curriculum. 36. Based on Student’s present levels of performance and needs, District staff on the IEP team developed 10 goals to improve Student’s skills in completing homework, mathematics, reading comprehension and fluency, writing, transition after high school, and behavior. The homework goal has Student completing and returning eight out of 10 homework assignments. Four goals address Student’s academic skills in math fluency, eighth to 10th grade mathematics, 10th grade writing, and 10th grade reading. 37. The math fluency goal is to improve Student’s ability to complete a blank multiplication chart, or a three-minute timed math test with 50 multiplication, division, addition or subtraction problems, with 80 percent accuracy in four out of five trials as measured by student work samples. The baseline measurement is Student’s scores on completing a blank multiplication chart, and on a three-minute timed math test. 38. The mathematics goal is to improve Student’s ability to do multi-step linear equations with one variable with 80 percent accuracy as measured by Student work samples and teacher assessments. The baseline measurement is Student’s previous score on multistep linear equations with one variable. 39. The writing goal is to improve Student’s ability to write an expository paragraph with supporting and summary sentences with 70 percent accuracy as measured by Student’s work samples. The baseline measurement is Student’s current ability to write a multi-paragraph essay, with difficulty indenting, separating paragraphs, grammatical errors, and including the relevant details. 40. The reading goal is to improve Student’s ability to read grade-level literary text and analyze the characters and plots with 75 percent accuracy in three of four trials as measured by teacher observation. The baseline measurement is Student’s current ability to read grade level literary text and analyze the characters and plots with 60 percent accuracy. 41. Two goals address Student’s transition after he graduates from high school. In one goal, Student lists the average cost of one semester at two colleges of interest. The other transition goal is for Student to construct a resume, practice interview techniques, and attend the school’s career fair. Three goals address Students behaviors and improves Student’s ability comply with directions, use appropriate language and understand consequences in order to make positive choices. 42. The evidence establishes that the goals and objectives in the December 8, 2011, IEP are measurable and designed to address Student’s identified areas of need. The goals meet Student’s educational needs and offer him a FAPE. 43. An IEP must also contain related services when needed to enable the student to benefit fully from instruction such as developmental, corrective, and other supportive services. Counseling, occupational therapy, physical therapy, transportation, and other services are examples of what may be required to assist a child to benefit from special education. 44. The December 8, 2011 IEP offer provides Student with 120 minutes per month of individual counseling and 120 minutes per month of group counseling. This is consistent with Dr. Ulrey’s recommendation that Student continue counseling, and the evidence that establishes that Student benefitted from the counseling prior to his withdrawal from counseling by Parents after the September 1, 2011, IEP team meeting. The counseling offer meets Student’s needs and enables Student to receive meaningful educational benefit. Student has no other apparent need for related services and Parents do not argue otherwise. District’s offer of related services is appropriate. 45. An IEP must contain modifications that will be provided for a student so that he can advance toward attaining his annual goals and be involved and make progress in the regular education curriculum. It must also contain a statement of the accommodations that are necessary to measure his academic achievement and functional performance. 46. The disputed IEP offers Student several accommodations and modification to address his deficits, including positive behavior support; access to a computer; graphic organizers for reading and vocabulary comprehension; the taking of portions of tests over specified allotted time (for one portion each day); extra time to complete class work and tests and the opportunity to finish class tests in his SDC; and, the repeating or clarification of assignments, directions and guidelines. For the statewide California Standards Test, the IEP offers Student flexible time, setting, and repeating of instructions. These accommodations and modifications are consistent with Student’s unique needs as identified in the assessments and teacher observation in order for Student to receive meaningful educational benefit. Student has no other apparent need for accommodations or modifications. District’s offer of accommodations and modifications is appropriate. 47. Beginning not later than the first IEP to be in effect when the child turns 16, or younger, if determined appropriate by the student’s IEP team, and updated annually thereafter, a student’s IEP must include appropriate measurable postsecondary goals based upon age-appropriate transition assessments related to training, education, employment, and, where appropriate, independent living skills. It must also include transition services (including courses of study) needed to assist the child in reaching those goals. Among other things, the transition plan must include exposure to vocational and community experiences, and, if appropriate, training in independent living skills. 48. Student’s transition plan includes interviewing Student as part of the planning process. The age-appropriate assessments used in developing his transition plan includes the online Career Zone Assessment and Interest Inventory, on which he scored highest in the area of poet, lyricist, and creative writing. Student also had high scores in the areas of film and video editing. During the interview with Mr. Vargas, Student expressed interests in music and culinary arts. Student wants to continue culinary arts next year. 49. Based on the assessment and discussion with Mr. Vargas, the post secondary training or education goal in the transition plan is for Student to research and enroll after graduation in a junior college culinary arts class. The transition service for this goal is college awareness, which is linked to one of the annual goals in the IEP to develop a resume, practice interviewing, and attend the high school career fair. Student’s post secondary goal for employment is for Student to obtain a job as a restaurant cook. Student is to investigate job opportunities and requirements such as starting wage rate and the education required to obtain an entry level job in this field. 50. The transition plan states that Student is on a diploma track with an anticipated graduation date of May 27, 2014, and includes Student’s coursework description, and the number of units completed and needed to graduate. The plan also indicates that Student takes the California High School Exit Exam (CAHSEE) in March 2012. 13 Mr. Vargas and the evidence establish that the transition plan is sufficient to meet Student’s needs in making a transition from high school to later education and employment. 51. In the case of a child whose behavior impedes his or her learning or that of others, the IEP team must consider, when appropriate, strategies, including positive behavioral interventions and supports, to address that behavior. An IEP that does not appropriately address behavior that impedes a child’s learning denies a student a FAPE. 52. The December 8, 2011 IEP includes a BSP. The BSP targets behavior in the areas of talking to peers inappropriately; making noises and disrupting class; using inappropriate language; complaining about doing school work; expressing frustration and engaging in arguments with students; and showing opposition to school staff requests. 53. The BSP describes triggers for Student’s target behaviors and corrective actions by the school staff such as redirections and positive reinforcement. The BSP sets forth a wide range of specific strategies to address Student’s target behaviors. It describes acceptable alternative behaviors for Student such as requesting a break; instruction strategies to teach replacement behaviors; reinforcement procedures so that Student can establish, maintain, and generalize replacement behaviors; reactive strategies when target behaviors occur; and communication techniques for staff to use in reporting Student’s progress to his parents. The BSP is linked to the three behavioral goals in the Student’s IEP. 54. The BSP is consistent with the recommendations of Ms. Austin and Dr. Ulrey. In addition, Ms. Longaker, District’s behavior specialist, and Mr. Vargas testified that the BSP is adequate for Student’s behavioral needs. There was no evidence to the contrary. Therefore, the BSP appropriately and adequately addresses the target behaviors that impede Student’s ability to access his education. 55. An IEP must state the beginning dates, frequency, and duration of offered services. An IEP must also state how much time will be out of the general education curriculum. The IEP states that the offered services begin December 8, 2011 and end December 8, 2012. The IEP provides the frequency and duration of the SDC (four periods, five days per week), individual counseling (120 minutes per month), and group counseling (120 minutes per month). The IEP states that Student will spend 85 percent of his time outside general education, 15 percent in the general education curriculum. 13 Student took the CAHSEE for the first time in March 2012 and passed the English portion and missed passing the math portion by one point. Mr. Vargas was confident that Student would pass the math portion in time to graduate. 56. School districts are required to ensure a variety of potential educational placements are available to special education students, including placements in general education classes, resource classes, special day classes, and certified non-public schools if appropriate. There is no requirement that every possible program option available in a school district be addressed at an IEP team meeting. 58. The evidence shows that Student could not make adequate educational progress in a full-time general education setting. The prior school year, when Student had taken three general education classes (drama, culinary arts, and life science), he failed drama and struggled with life science. In developing the disputed offer, District properly determined that having Student take culinary arts as his only general education class reduces the academic demands and his stress to a level at which he can make educational progress. Student’s greater success this year means that Student may be able to increase the number of general education classes he could take next year. But in December 2011, he could not be educated satisfactorily in more than one general education elective. 59. In the SDC offered to Student, he would have the opportunity to work on the necessary social and emotional skills and behaviors that he needed to appropriately interact with his typically developing peers in general education classes. At present he is unable to do so in a satisfactory manner. 60. The evidence shows that Student’s language and behaviors would disrupt a full time general education setting and would deprive the other students of adequate education. District properly considered the continuum of placement options in developing its IEP offer by reviewing the various placement options that existed for Student to meet his unique needs. On balance, the evidence shows that Student could not be satisfactorily educated in the general education environment any more than the offered IEP proposed, and that he could be satisfactorily educated in the SDC, which is the least restrictive placement. 14 Neither District nor Student made any argument concerning the cost of the proposed placement. Therefore, that subject is not addressed here. 61. Ms. Coker, Ms. Austin, Ms. Longaker, and Mr. Vargas credibly testified that in their opinions the IEP offer is appropriate. There was no evidence to the contrary. The evidence shows that District staff properly convened and conducted the December 8, 2011 IEP team meeting in accordance with the procedural requirements in the IDEA. The offered IEP sets forth and is based on accurate present levels of performance derived from Student’s most recent assessments, progress reports, staff observations and information from Parents. Its 10 goals are measurable and designed to meet Student’s needs that result from his disability. The offered IEP provides adequate related services in the form of individual and group counseling, and accommodations and modifications for classroom settings and standardized tests, so that Student can access his education. It includes an appropriate transition plan and BSP, and conforms to other legal requirements. The offered placement is in the LRE for Student. Overall, the December 8, 2011, IEP offer is reasonably calculated to allow Student to receive educational benefit. 62. Parents point out that in 2010 they agreed to place Student in its SDC pursuant to a settlement agreement in a prior dispute. Parents assert that Student’s placement in the SDC in 2010 was meant to be on a temporary basis for three months as recommended in Dr. Ulrey’s IEE report. 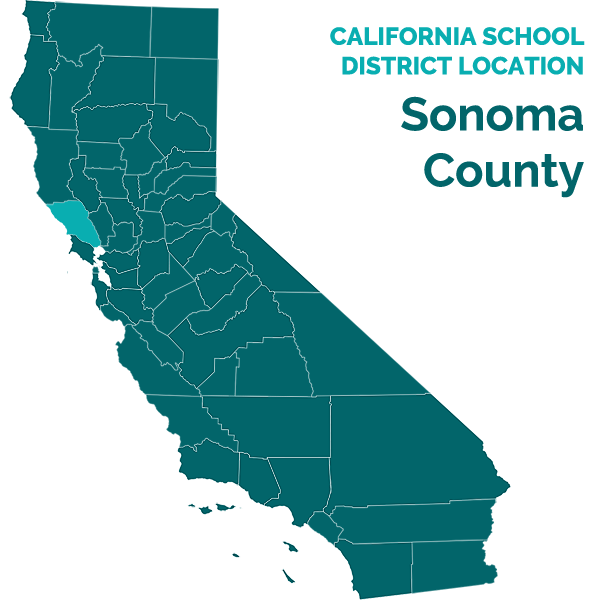 Parents argue that District’s placement offer of December 8, 2011, is inconsistent with their previous agreement that Student attend the SDC only temporarily. 63. As discussed above, Dr. Ulrey’s recommendation that Student attend the SDC for three months was contingent on Student’s progress when participating in the SDC’s five progressive levels towards greater general education inclusion opportunities. The duration of Student’s placement in the SDC depends on his progress in behavior, participation, and academic performance. The IEP team considered that Student’s behavior, academic progress, and emotional state had recently declined, and that Parents decision to remove Student from individual and group counseling impeded his progress. Therefore, the December 8, 2011 IEP does not conflict with the prior agreement between Student and District. 3. In Board of Educ. v. Rowley (1982) 458 U.S. 176 [73 L.Ed.2d 690] (Rowley), the Supreme Court held that the IDEA does not require LEAs to provide special education students the best education available, or to provide instruction or services that maximize a student’s abilities. (Rowley, supra, at p. 198.) School districts are required to provide only a “basic floor of opportunity” that consists of access to specialized instruction and related services individually designed to provide educational benefit to the student. (Id. at p. 201; J.L. v. Mercer Island School Dist. (9th Cir. 2010) 592 F.3d. 938, 949-954.) Parents’ contention that the IDEA requires District to offer the best IEP that can reasonably be crafted has no support in the law. Issue: Did District’s December 8, 2011 IEP offer Student a FAPE in the LRE, so that it may be implemented without parental consent? 8. Pursuant to Factual Findings 6 and 7, and Legal Conclusion 7, all required members of the IEP team attended the December 8, 2011 IEP team meeting. Student’s parents attended. In addition, the special education director, Student’s SDC teacher, a district representative, a behavior specialist, school psychologist, and Student’s general education teacher attended. 11. Pursuant to Factual Findings 8 through 10, and Legal Conclusions 9 and 10, District conducted a meaningful IEP team meeting even though Mother prevented completion of the agenda and review of the proposed IEP. Parents’ concerns about the proposed IEP were considered, were reflected in the meeting notes, and were incorporated in the final IEP offer that was sent to Parents and dated December 21, 2011. The final IEP offer of December 8, 2011, incorporated several of Parent’s requests for revision. Parents meaningfully participated in the IEP team meeting. 13. Pursuant to Factual Findings 11 through 14, and Legal Conclusions 8, 11, and 12, District did not predetermine Student’s placement. All IEP team members, including Parents, participated in the development of the final document. Parents expressed their agreements and disagreements and District team members listened to and considered the parents’ concerns. The draft IEP was later revised for the final IEP that was sent to Parents. 14. Pursuant to Factual Findings 5 through 14, and Legal Conclusions 6 through 13, District conducted a properly held, meaningful IEP team meeting on December 8, 2011, with the required team members and properly considered Parents’ views. Therefore, the IEP that was offered as a result of the meeting was made in procedural compliance with the IDEA. 16. Pursuant to Factual Findings 19 through 35, and Legal Conclusion 15, District accurately determined Student’s unique needs. District reasonably relied on its own thorough psycho-educational assessment and Dr. Ulrey’s credible IEE, both of which found that Student was not progressing due to behaviors related to ADHD and other emotional difficulties. Student’s poor social and communication skills in problem solving, anger, threatening behaviors towards others, and resistance to adult interventions at school continued to qualify Student for special education as an emotionally disturbed student and prevented him from being able to make adequate academic progress without the continued assistance of special education instruction. 17. Pursuant to Factual Findings 19 through 35, and Legal Conclusions 15 and 16, District accurately determined Student’s present levels of performance. District based its determinations for academics on the California Standards Test, classroom performance, and teacher observations. District reviewed Student’s performance in the three general education classes that he took in the previous academic year in light of his present levels for this year. For determining Student’s communication skills, social, emotional, and behavioral development, District relied on its psycho-educational assessment, Dr. Ulrey’s IEE, information from Mother, Student’s teacher, District staff to establish the nature of Student’s ineffective communication skills, use of inappropriate language, and complaining and arguing with teachers. District determined that Student learned to minimize and reduce the behaviors through self-management, but that he had regressed after he stopped attending counseling. 18. District appropriately determined Student’s present levels of performance and needs through Student’s grades and test scores, teacher observation, its own assessments, and Dr. Ulrey’s IEE regarding mathematics, reading, writing, fluency, transition, homework completion, and social and emotional behaviors. Pursuant to Factual Findings 36 through 42 and Legal Conclusions 15 through 17, based on Student’s deficits and needs District staff on the IEP team developed 10 goals to meet Student’s needs in the areas of mathematics, writing, reading, math fluency, homework completion, transition from high school, and social and emotional behaviors. The evidence establishes that the goals and objectives in the December 8, 2011 IEP were clear and measurable and met Student’s educational needs. 20. Pursuant to Factual Findings 20, 21, 26, 31, 32, 43, and 44, and Legal Conclusion 19, District’s offer of 120 minutes individual counseling per month and 120 minutes of group counseling per month was based on, and consistent with, Dr. Ulrey’s and Ms. Austin’s recommendations that Student receive counseling. The evidence also that established that Student benefitted from the counseling before Parents withdrew him from it after the September 1, 2011, IEP team meeting. Therefore, the offer of counseling would enable Student to receive meaningful educational benefit. 22. Pursuant to Factual Findings 17, 19 through 30, 45 and 46, and Legal Conclusions 16 through 18, and 21, District offers Student appropriate accommodations and modification to address his deficits in the form of positive behavior support; access to computers; teachers providing graphic organizers for reading and vocabulary comprehension; break portions of tests over specified allotted time (for one portion each day); extra time to complete class work and tests; teacher to allow Student to finish class tests in his SDC class; and teachers to repeat or clarify assignments directions or guidelines. For the statewide California Standards Test, the IEP offers Student flexible time, setting, and repeating of instructions. These accommodations and modifications are consistent with Student’s unique needs as identified in assessments and teacher observations and would permit him to receive meaningful educational benefit. 24. Pursuant to Factual Findings 17 and 47 through 50, and Legal Conclusion 23, District offers a transition plan that sufficiently met Student’s needs to plan his transition after graduating from high school. The plan is based on an assessment, Student’s preferences, and prior coursework. The transition plan includes training and employment in culinary arts and is linked to annual goals in the IEP. Student is on a diploma track for graduation. The evidence establishes that the transition plan is sufficient to meet Student’s needs to plan his transition after graduating from high school. 26. Pursuant to Factual Findings 15 through 27, 31 through 33, and 51 through 54, and Legal Conclusion 25, the IEP team adequately considered strategies, including positive behavioral interventions, and supports to address Student’s behavior that impeded his learning. The BSP is consistent with the recommendations and observations in Dr. Ulrey’s IEE report and Ms. Austin’s psycho-educational evaluations, and was credibly endorsed by several District witnesses. There was no evidence to the contrary. The BSP adequately addresses Student’s behaviors that impede his ability to access his education. 28. Pursuant to Factual Findings 16 and 55, and Legal Conclusion 27, the IEP includes the required beginning dates, frequency, and duration of the offered services. The IEP also states how much time will be outside of the general education curriculum. 29. Local educational agencies must ensure that a continuum of program options is available to meet the needs of individuals with exceptional needs for special education and related services. (34 C.F.R. § 300.115(a)(2006); Ed. Code, § 56360.) However, there is no requirement that an IEP team discuss the full continuum of program options. 30. Federal and state law requires a school district to provide special education in the LRE. A special education student must be educated with nondisabled peers “to the maximum extent appropriate,” and may be removed from the general education environment only when the nature or severity of the student’s disabilities is such that education in general education classes with the use of supplementary aids and services “cannot be achieved satisfactorily.” (20 U.S.C. § 1412(a)(5)(A); 34 C.F.R. § 300.114(a)(2)(ii) (2006).) In light of this preference, and in order to determine whether a child can be placed in a general education setting, the Ninth Circuit, in Sacramento City Unified Sch. Dist. v. Rachel H. (1994) 14 F.3d 1398 1403 (Rachel H.), adopted a balancing test that requires the consideration of four factors: (1) the educational benefits of placement full-time in a less restrictive class; (2) the non-academic benefits of such placement; (3) the effect the student would have on the teacher and children in the less restrictive class; and (4) the costs of mainstreaming the student. 31. Pursuant to Factual Findings 21 through 27 and 56 through 61, and Legal Conclusions 29 and 30, the IEP team properly considered the continuum of placement options in developing its IEP offer by reviewing the various placement options that existed for Student. District’s placement offer is in the LRE because the evidence shows that Student requires the services and supports available in the SDC in order to access his education. Student is not ready to transition to a full time general education setting, primarily because his language and disruptive behaviors cannot be managed there and must be managed in the SDC, and because his presence in full time general education classes would seriously disrupt the education of other students. Therefore, applying the four-part LRE analysis of Rachel H., supra, District’s placement offer of four classes in the SDC for 85 percent of the time, and one general education elective for 15 percent of the time, places Student in the LRE. 32. Pursuant to Factual Findings 25, 26, 62, and 63, Student’s placement in the SDC is contingent on his progress in the SDC’s five progressive levels towards greater general education inclusion opportunities. District IEP team members considered that Student’s behavior, academic progress, and emotional state had recently declined, and that Parents’ decision to remove Student from individual and group counseling impeded his progress. Therefore, the December 8, 2011 IEP does not conflict with the prior agreement between Student and District that placed Student in the SDC on a temporary basis. 33. The IEP team incorporates Student’s most recent assessments, progress reports, staff observation, and Parents’ concerns in determining Student’s unique needs. The IEP contains measurable goals designed to meet the student’s needs that result from his disability and contained accurate present levels of performance and baseline measurements to determine his progress. The IEP offers adequate related services in the form of individual and group counseling, and appropriate accommodations and modifications for classroom settings and standardized tests, based on Student’s unique needs so he can access his education. The IEP includes an appropriate transition plan and BSP. Finally, the offered placement is in the LRE. 34. Therefore, District’s offer of placement and services from the IEP team meeting of December 8, 2012 is in compliance with the procedures set forth in the IDEA and provides Student with an educational program that is reasonably calculated to provide the student with educational benefit in the LRE, providing a basic floor of opportunity that gives him access to specialized instruction and related services, which are individually designed to provide an educational benefit. In accordance with Legal Conclusions 1 through 5, District’s December 8, 2011 IEP offers Student a FAPE. District’s offer of placement and services contained in the December 8, 2011 IEP offers Student a FAPE. Should Parents present Student for public education within the District, District may implement the Student’s IEP without parental consent. Education Code section 56507, subdivision (d), requires that the hearing decision indicate the extent to which each party has prevailed on each issue heard and decided. District prevailed on the sole issue decided.